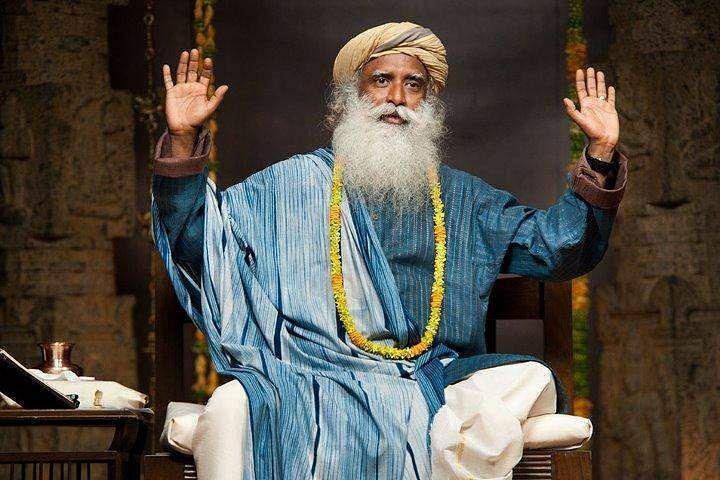 Revered yoga guru Jaggi Vasudev, founder of the Isha Foundation, who is popularly referred to as Sadhguru issued a clarification after a video clip showed him calling a Muslim student at the London School of Economics a 'Taliban'. The clip triggered large scale criticism from the London School of Economics Students Union (LSESU), which also stated that it found Sadhguru's comments to be "Islamophobic". 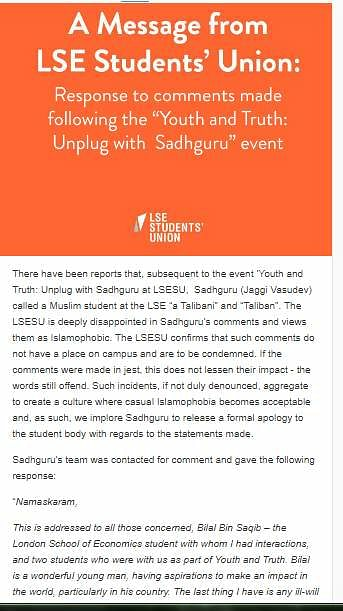 The LSE Student Union claimed of having a video recording of this private conversation from March 27 in the institute's premises and said that it was "deeply disappointed in Sadhguru's comments and views them as Islamophobic." "The LSESU confirms that such comments do not have a place on campus and are to be condemned. If the comments were made in jest, this does not lessen their impact - the words still offend. Such incidents, if not duly denounced, aggregate to create a culture where casual Islamophobia becomes acceptable and, as such, we implore Sadhguru to release a formal apology to the student body with regards to the statements made," the student union said in a statement posted on Tumblr. Following this, Sadhguru issued a video statement and a press release on April 2. In the video, Sadhguru described the Muslim LSE student as a "wonderful young man, having aspirations to make an impact in the world … The last thing I have is any ill-will or intention to abuse or insult him". Sadhguru also said, "It is not in my heart to insult anybody, especially not this wonderful young man with so many aspirations and intentions for the world." However, the revered yoga guru also claimed that the video clip was of "a private conversation" and had been "mischievously edited". Sadhguru also explained why he used the word 'Taliban', saying it meant ardent student in Arabic, "which Bilal definitely is". Sadhguru also stated the term Taliban "is always used in India in relation to someone who is over-enthusiastic". "It is in that context that I was joking with Bilal; it is very unfortunate that it has been projected this way," Sadhguru said. The video was reportedly recorded on the sidelines of a Youth and Truth: Unplug with Sadhguru event, which was held with the LSESU on March 27. In a conversation with an LSE student, Bilal Bin Saqib, Jaggi Vasudev referred to him as being a 'Taliban' after he asked a question.